I am a wife, mother, dental assistant and music instructor by day- rock star by night. Currently, I am in a local band called Mo Carter and Co. My axe of choice is the violin and I love to unwind with a local craft brew at the end of a long day. Being a dental assistant is challenging and rewarding, as I am always learning something new. 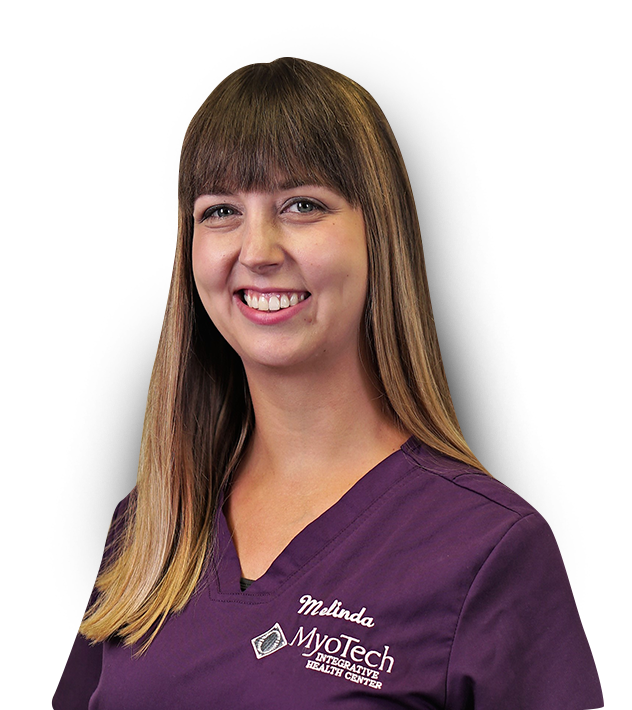 MyoTech is an extended family to me, I am very proud to be part of such a fantastic and caring office. I don’t follow any sports- no favorites! My husband Randy is somewhat of a local celebrity, he plays bass for The Candymakers and Avey-Grouws Band. Because of him, I am often known and recognized as “Randy’s wife”. Together we have an adorable future music-maker- our daughter, Alita. My hobbies include chasing around my daughter, playing music and anything outdoor related!